We’re invited at radioshow Opium at Radio 1 this weekend! 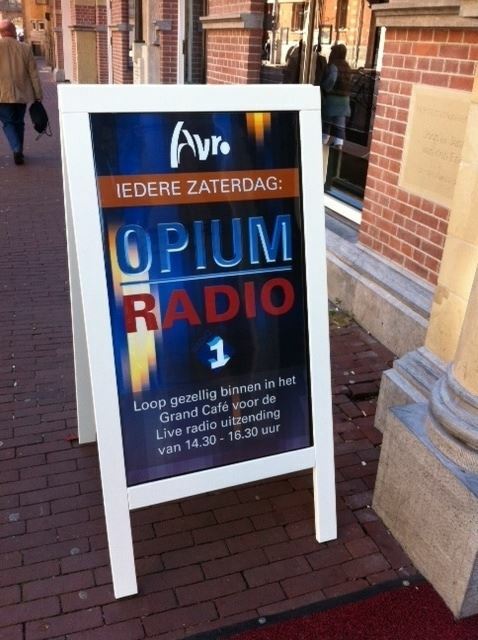 AVRO’s Opium is broadcasted live every Saturday from the Grand Cafe of the DeLaMar Theatre in Amsterdam. The show can be heard on Radio 1 from 14.30 to 16.30. You’re also welcome to come to the Grand Cafe and see us live. From 14:00 you can come in at Marnixstraat 402 in Amsterdam, registration is not required and admission is free.